Welcome to our new website and blog complete with an updated logo. We hope you enjoy our fresh new look. Members are spending more time online today, and there is less time and less need to visit us in person. Because members don’t visit our physical location as often, we want to meet you where you are: online We plan to also expand our online presence to include social media, so be looking for us there. 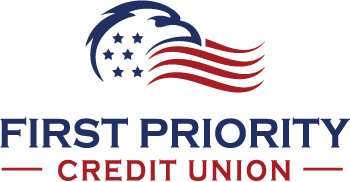 I have been a member since this credit union was known as “The Postal Employees Credit Union”. I have enjoyed being a member and watching it transform from small to larger. It has been a great process. I’m still proud to be known as a member. Thank you for your kind words. You are a valued member, and we are proud to serve you. We especially appreciate your volunteer service to the credit union. Looking forward serving you in the future. Best wishes from your First Priority Team!